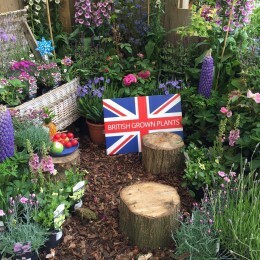 When we think of colour at the #RHSChelsea Flower show we think of the 90 amazing colourful displays in the Great Pavilion, with plants of every shape, size and colour. 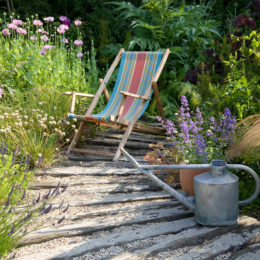 What we have seen this year though is that colour added into the show gardens to give a very English country garden feel. 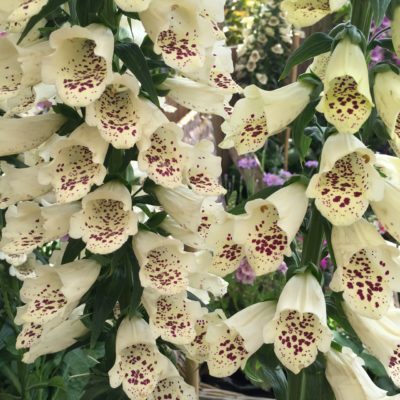 A wide variety of foxgloves have been used in many of the show gardens Digitalis purpurea ‘Sutton’s Apricot’ featured heavily in The David Harber and Savills Garden. This biennial plant has vivid and attractive flowers which is why it’s so commonly used in cottage garden design. Their tall, spiky, tubular flower can be white, yellow, purple or pink and are very nectar rich magnets for bees and butterflies. 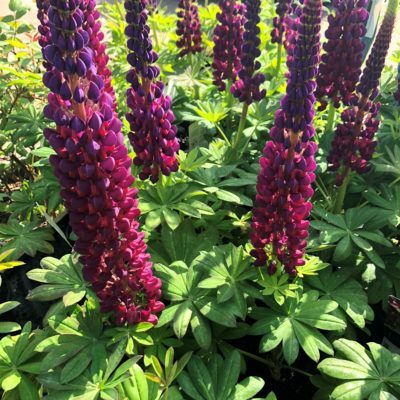 We love the variety Lupin ‘Masterpiece’ and West Country Lupin ‘Manhattan Lights’ which offers an amazing array of yellow and pink, red flowers. 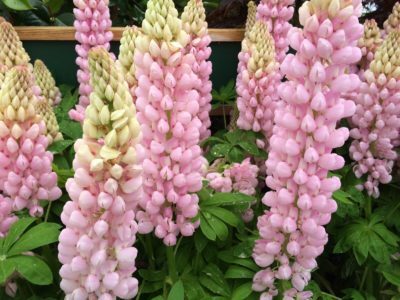 Any variety of Lupin is perfect for adding height to beds and borders. 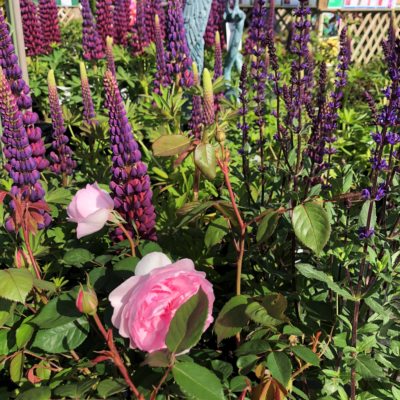 Even better positioned in the middle to guide the eye to look through the flowers to moving grasses and other perennials like Salvia Caradonna or a beautiful fragrant English rose like David Austin’s Olivia Rose Austin. 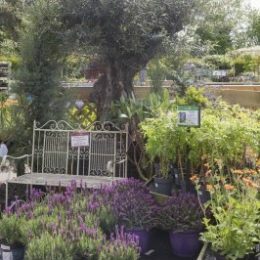 Sensational deep-purple flowers borne on black stems one of the most popular perennials at RHS Chelsea Flower Show to feature year on year in many of the show gardens. 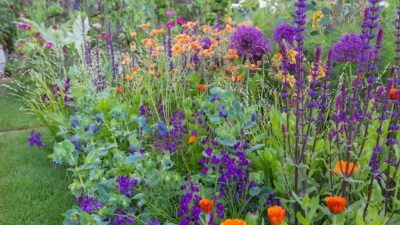 In 2017 they mixed this vivid deep-purple with the orange of the Geum ‘Totally Tangerine’ to make a stunning colour display in the Anneka Rice Colour Cutting Garden. 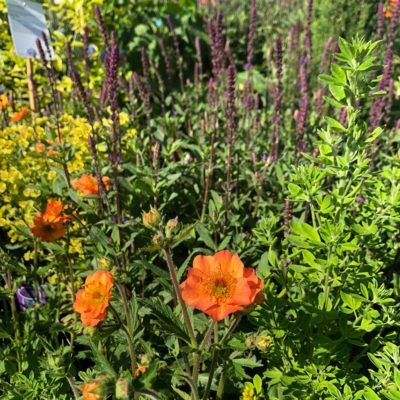 Geum ‘Totally Tangerine’ a previous winner from the RHS Chelsea Flower show is a tremendous ground cover perennial, peppering the ground with cheerful flowers from May to August. 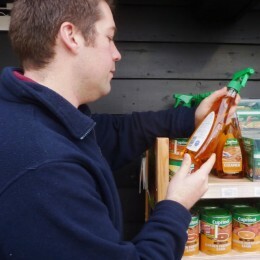 This classic cottage garden favourite makes a superb addition to your beds and borders. 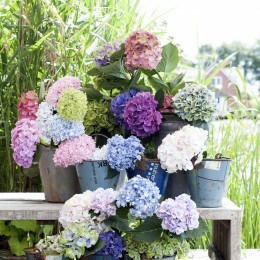 The Hydrangeas offer a background structure of shrubs adding to the colour palette of the garden. 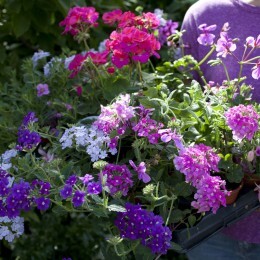 They come in romantic blues, rich pinks and soft mauve or pure white. With the announcement that the RHS Chelsea Flower Show 2018 Plant of the year is the Hydrangea hybrid called Hydrangea Runaway Bride ‘Snow White’ we think particularly chosen for its nod back to the recent Royal Wedding. We’ll let you know on our facebook page when we are stocking the #RHSChelsea Flower Show 2018 Plant of the year – Hydrangea Runaway Bride ‘Snow White’ so keep checking back for updates. 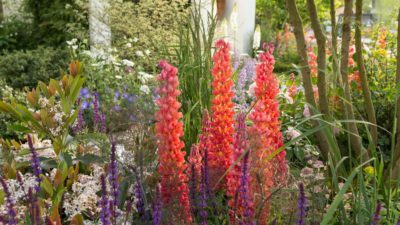 If you missed any of our other Inspired by #RHSChelsea Flower Show 2018 gardening tips then please visit our Gardening Tips Page. 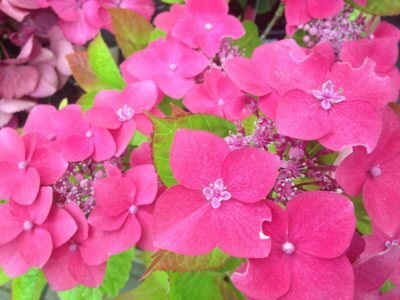 Hydrangeas – why do some change colour?